It’s our 10th anniversary at U.S. LawShield! We’re celebrating with the 350,000+ members who’ve trusted us through the years to keep them educated, empowered, and safely home with their loved ones after a self-defense incident. Here are the top 3 member stories from 2018 for you. Member Story #1: True Story – Wrongfully Accused Member Arrested by S.W.A.T. Meet Joyce, the loving grandmother who faced down an entire SWAT team coming to arrest her. Now, as crazy as these stories are, the truth of the matter is we see thousands of cases just like these every single year. None of these members woke up expecting to have to rely on their U.S. LawShield membership to help them through these traumatic circumstances… But each and every one of them were very glad they had us in their corner. Do you want the same protection? 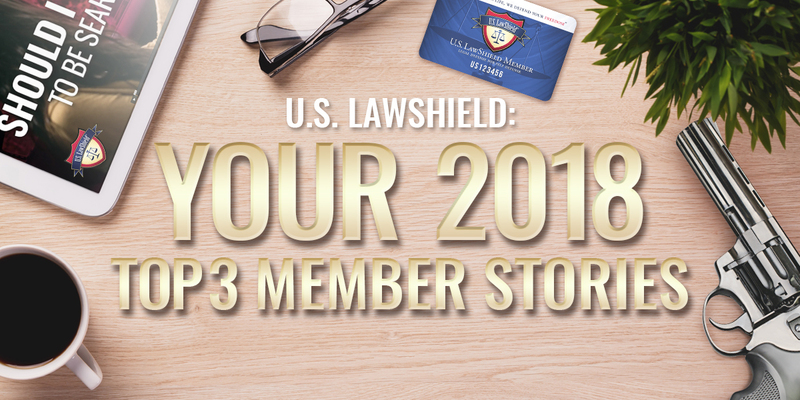 Activate your annual U.S. LawShield Membership today, and we will throw in 2 extra months of protection – that’s 14 months for the price of 12 – completely FREE! Click here to activate now and get two additional free months of U.S. LawShield membership.